To make the most of your site, you’ll want to make sure that you’re covering all your bases to sell your services. And that goes beyond a lovely internet site. 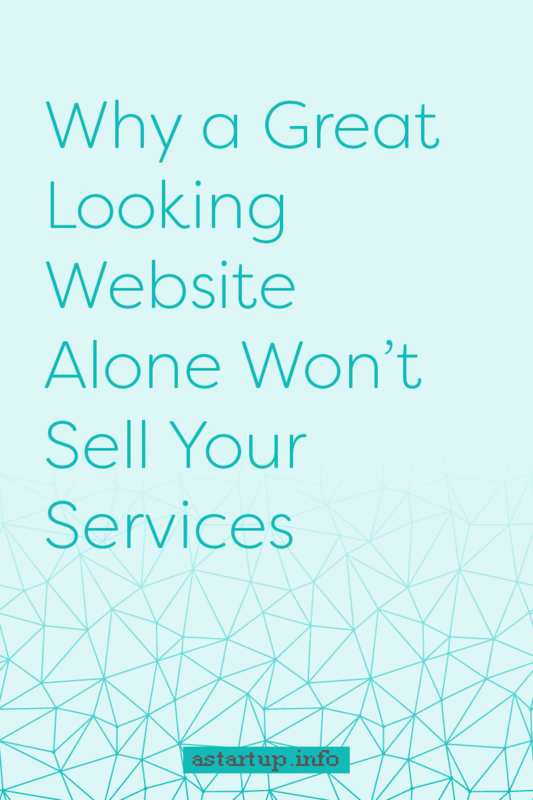 Here’s a look at some reasons why a great looking website alone won’t sell your services. What does a well-designed website mean to you? Do you think about just aesthetics? Or are you thinking about usability? When it comes to a well-designed website, usability trumps aesthetics every single time. How many times have you encountered something in real life that you expected to work one way, but it worked completely differently? Usually, in cases like this, the visuals were thought of first and then they decided how it was going to function. But turning functionality on its head isn’t exactly a smart idea. People are used to things working in a certain way. Change that and usability declines. It’s the same for your website. People have come to expect websites to function in a certain way. The logo is usually in the top left corner. The menu is at the top. Designers aren't boring when they design a website in this manner. They’re placing things in some locations because it works. And when it comes to your website, usability is critical. A site that isn’t functional is one that doesn’t work for you. And I’ve seen plenty of beautiful sites that have been a pain to use. So keep in mind that pretty doesn’t equal easy to use. Think about the last time you were in Target, and something caught your eye (it was probably yesterday, I mean come on, it’s Target). What drew you to the item? It was probably the packaging or how it looked, right? But then you picked the item up and took a closer look. You read the box or turned the product around. You saw exactly what it does and what it can offer you. Then you decided whether or not to add it to your cart. But Allyssa, what about items that you buy solely for looks, like clothes or home decor? While these items may not have packaging for you to read, you picked the item up, turned it around, and felt it. That shirt’s design may have caught your eye initially, but the softness of the fabric (or lack thereof) played a role in your decision to purchase it. That lamp that looked like the perfect fit for your living room wasn’t such a great match when you realized your cat would knock it over in a heartbeat. For people to hire you, they have to trust you, right? Does a good looking website automatically make them believe you? Nope. But that’s not to say a beautiful website doesn’t build any trust. A website that looks good will help establish you as a professional. Think about it, you wouldn’t buy from a sketchy looking site. The same goes for your potential clients. They want to see that you’re a professional and a nice website is a way to do that. Looking to sell your services? You’ll need to think beyond a good looking site. Of course, a site that looks great is important as it’ll allow your business to make a good first impression, but you can’t rely on that alone to book clients. Your site needs to be easy to use, convincing, and trustworthy. And all of those things don’t come from aesthetics alone. Don't focus on having a pretty website. Focus on having one that helps you sell your services.